Situado ao lado de um riacho que flui de uma das minas de ouro históricas, Yonah Sul Cabin está situado a apenas 7 milhas de Helen, 5 milhas de Cleveland e de 20 milhas de Dahlonegha. Convenientemente entre Hwy 75 e alternativo 75 na histórica Sautee Nacoochee Valley. Famílias de todas as idades (idade mínima 25), jovens casais, solteiros e grupos irão desfrutar de fazer memórias juntos na cabine Yonah do Sul. Venha desfrutar de um dia na Babyland General Hospital, Yonah Mountain Vineyards, Nora Moinho Celeiro, Helen aldeia alpina, flyfishing em Dukes Creek, caminhadas em qualquer uma das centenas de trilhas ou apenas apreciar as montanhas. Todos os quartos têm conjuntos extra de toalhas. Ambos os banhos têm altos banheiros ascensão para a fácil acessibilidade. Banho de baixo tem dupla adulto e cadeira de criança que é mantida no lugar por um imã até que uma criança precisa para usá-lo, em seguida, vira para baixo. Dobrável escadinha torna este banho perfeito para crianças! Assento de banho é armazenada no armário do quarto de volta no caso de um convidado sênior prefere sentar-se para o chuveiro. Chuveiro on off válvula construído em banheira torneira com push fácil puxar! This is a perfect place for a getaway, especially for families. They have so many toys, books, games, movies, coloring books, etc. The porch is gated and perfect for safe play for little ones. We loved the creek. So cold, but the kids loved it. It is so close to town for any needs or desires. This was renting a “home” and very much enjoyed all the work and thoughts put into it. They truly thought about what guests might want or need (what you would have at your own house) and saw to it that it was there. We had some issues and need to contact them and it was easy. That made me feel so much better as a new renter. Beautiful area. Would love to visit again. 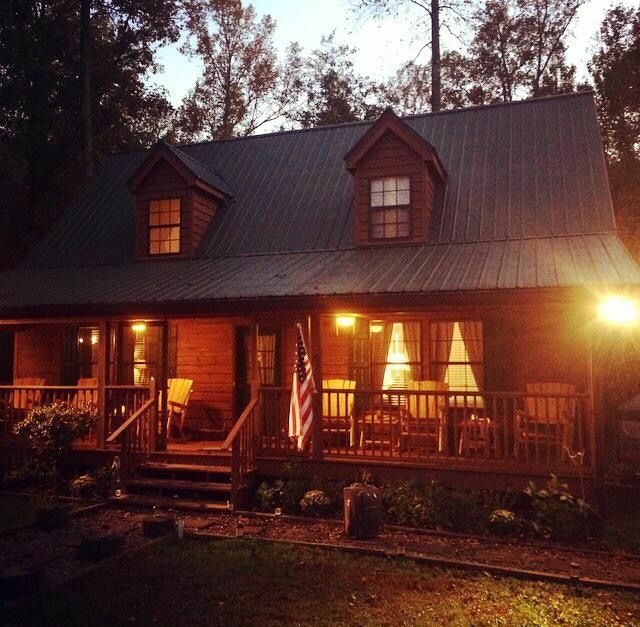 Wonderful cabin home fully equipped with everything needed for a wonderful family time! We came to Georgia to visit our daughter and her husband and are so thankful to have found this cabin home nestled in the mountains of Sautee Nacoochee. Such a peaceful place supplied with everything we needed except our personal belongings and food:-). We were able to prepare home cooked meals together for some much needed family time! Thank you! We just loved this house it had everything and some that you could ask for. Yes I way over packed for this house all you need to pack are your clothes. My grandbabies had a blast with all the toys. Thank y'all for making our spring break one of the best. We stayed here during the annual trout tournament, it was perfect! Not too far from the little town of Helen but far enough away to escape all the hustle and bustle. It was like walking into your own home with how comfortable and cozy you felt! I will definitely be booking another stay in this cabin sometime soon! Owners were awesome, all around great experience!! We are so glad fellow trout fishermen / women enjoyed staying at Yonah South and felt just like they were at home, that is what we hope for with every guest. We also hope you caught some and look forward to having you return, maybe to fish on Dukes Creek at Smithgall Woods. Let us know if you reserve a date on the creek and we would love to have you back again. This cabin is definitely geared towards family. There were toys indoors and out, as well as movies and books for all ages. There was plenty of room for the 5 of us. Our favorite part was being outside sitting in the swing next to the rushing creek, while the kids panned for gold. We would definitely choose to stay at this cabin again. Cabin was so great for children. They loved all of the toys. The porch made such a nice place to relax. Great location. We are so glad your family enjoyed your stay! Cabin Yonah do Sul é a opção perfeita para família e convidados presentes de casamento uma ocasião especial em um dos muitos locais de casamento do Condado de White. Convenientemente localizado a minutos de CeNita Vineyards (8 milhas), Mountain Laurel Farms (3 milhas), Santuário Plantation (12 milhas), Smithgall Woods (6 milhas), The Farm Densmore (14 milhas) e Yonah Mountain Vineyards (9 milhas). All rentals require one of three forms of Property Damage Protection: 1. Insurance purchased through VRBO OR 2. Check provided to owner as Damage Deposit OR 3. Credit card information provided to Owner for Damages Check in at 4:00 pm, check out at 11:00 am. Taxes include 4% GA Sales Tax, 3% White County Local Sales Tax and 8% White County Hotel Motel Tax. **If you are approved for a pet, the $50.00 Pet Fee will be in addition to the $100 Cleaning fee.